The central bank has said more guidelines to streamline corporate governance in the banking and finance sector will be issued to support existing ones in the coming weeks. In a speech read on his behalf at the 8th annual general meeting of savings and loans companies in Accra, Dr. Ernest Addison-Governor of the Bank of Ghana, pointed out that the central bank remains committed to ensuring financial institutions improve governance practices, internal controls and risk management systems. “I would like to encourage boards and senior management of all savings and loans companies to pursue sound corporate governance practices and comply with provisions of the Corporate Governance Directives for increased productivity in the sector,” he said. 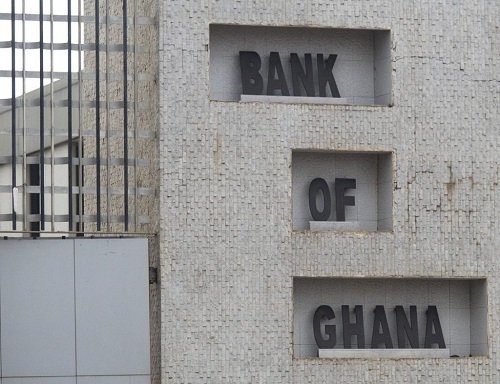 The Bank of Ghana in January this year directed all banks to adhere to the latest global banking practices, including the Basel Core Principles. In March 2018, the BoG, issued Corporate Governance Directives for Banks and Specialised Deposit institutions regulated under the Banks & Specialised Deposit-Taking Institutions Act, 2016 (Act 930). As part of the new Corporate Governance Directives, the Bank of Ghana has specifically defined the roles of each board-member, their tenure and age-limit, and board structure among others. Despite the Corporate Governance Directives’ detailed nature, the Bank of Ghana is also reviewing risk management guidelines for adoption by the industry to make sure banks and special deposit taking institutions undertake prudent risk assessments in their works. Other guidelines and directives which have also been finalised and are ready to be issued for the industry are those on mergers, acquisitions, ownership and control; and guidelines for financial holdings companies and outsourcing guidelines, among others. Since the collapse of UT and Capital Banks, placing uniBank under the administration of KPMG and the appointment of an advisor to Sovereign Bank, Dr. Addison has openly scolded the boards and management of these banks for recklessness and exertion of undue influence on management of the banks, leading to poor lending practices. He noted that some of the directors traded their independence, oversight and fiduciary duties for rewards that included business-class air tickets doled out to them annually in the case of UT and Capital Banks. A case in point, he said, was the decision by directors of boards to double as consultants to the two banks, giving rise to conflict of interest situations. Other directors, he noted, interfered with the day-to-day administration of the banks – and that “weakened the management oversight function of executive directors”; and they operated “very high executive compensation schemes” which “were not commensurate with their operations”. Touching on why auditing firm KPMG had to be appointed as an administrator to assume control of uniBank, Dr. Addison – during a press conference in March 2018 – noted that the bank outsourced a number of services such as those of tellers, receptionists and security, to affiliate companies without the prior approval by the Bank of Ghana, which was contrary to section 60 (12) of Act 930. He added that uniBank also refused to cooperate with the Bank of Ghana in the performance of its supervisory responsibilities; including deliberately concealing some liabilities from its balance sheet and failing to submit documents and records for supervisory inspection. “It exhibited poor corporate governance and risk management practices, which rendered the bank vulnerable to macroeconomic shocks, and generally conducted its affairs in a manner detrimental to the interests of depositors and the financial system as a whole,” he said. To the central bank, these new directives when issued will go a long way to sanitise the banking system, especially in terms of corporate governance – a crucial element in running a liquid and efficient financial system. “The Bank of Ghana has committed itself to carrying out its supervisory functions consistent with international best practices for effective supervision to enhance the legal and regulatory framework. I am confident that these directives will contribute significantly toward strengthening governance systems in the banking system,” Dr. Addison added.